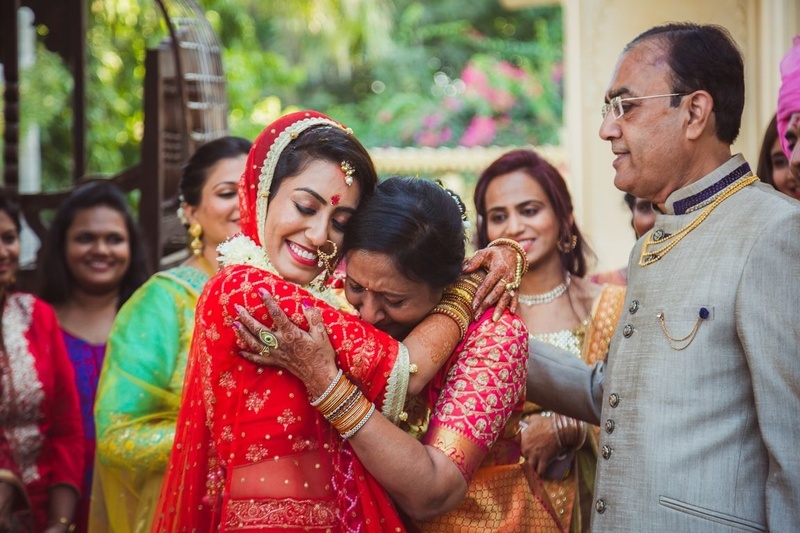 This love story started way back in their college years. 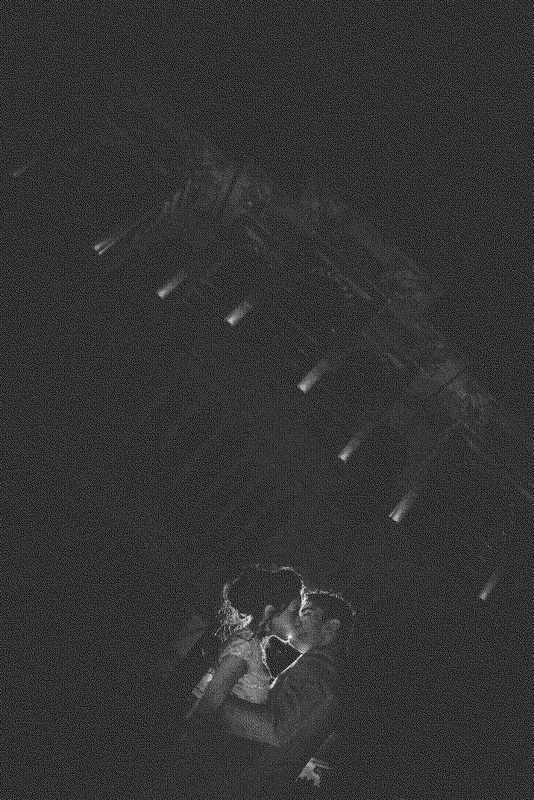 And 4 years later, here they are getting married! 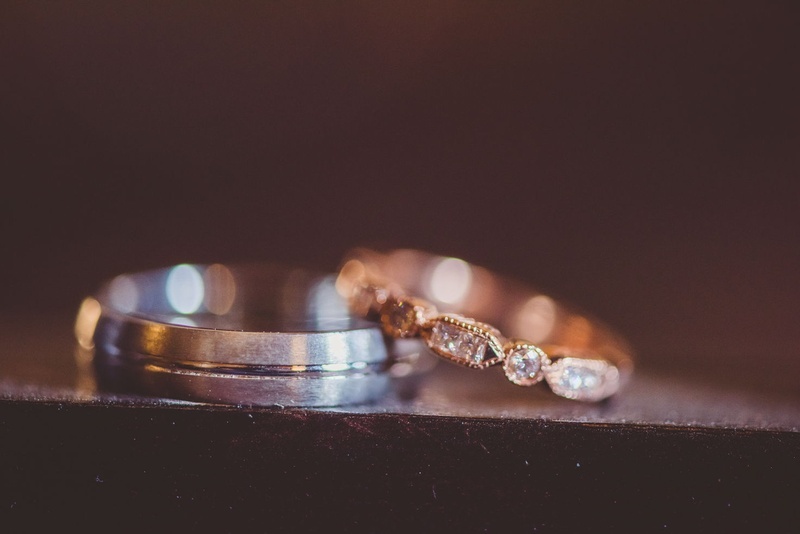 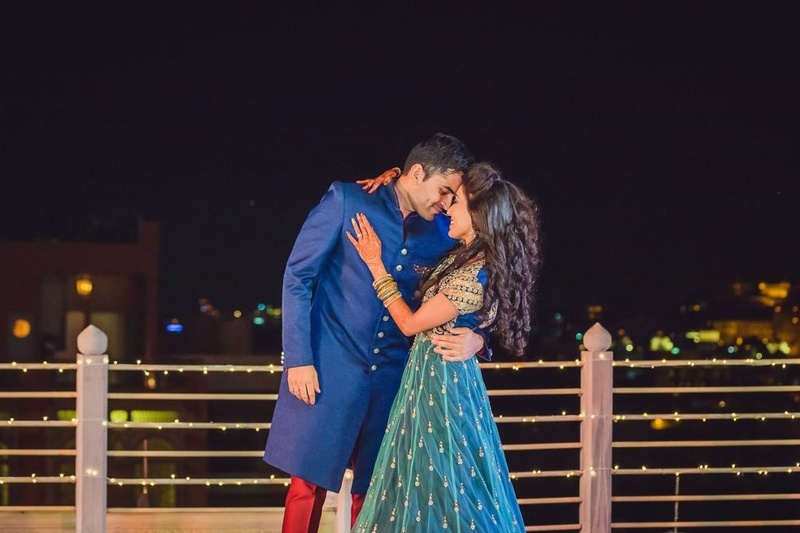 The wedding affair started with a charming pre-wedding shoot with tons of romance. 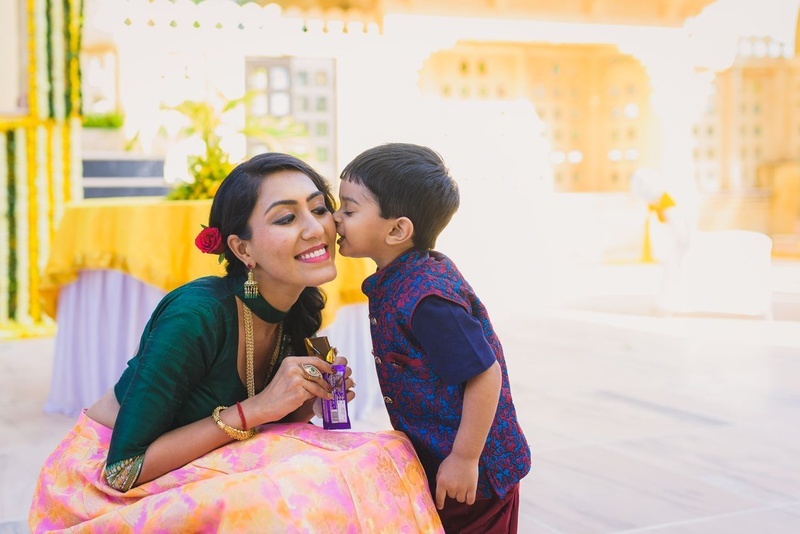 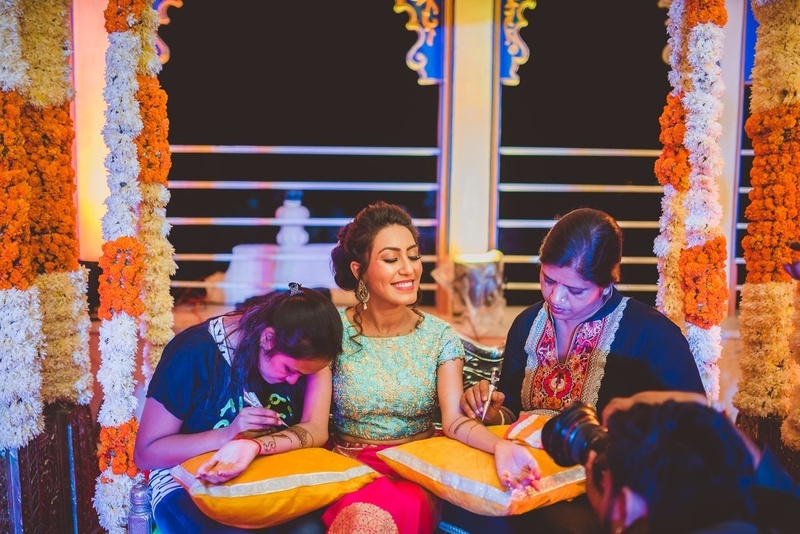 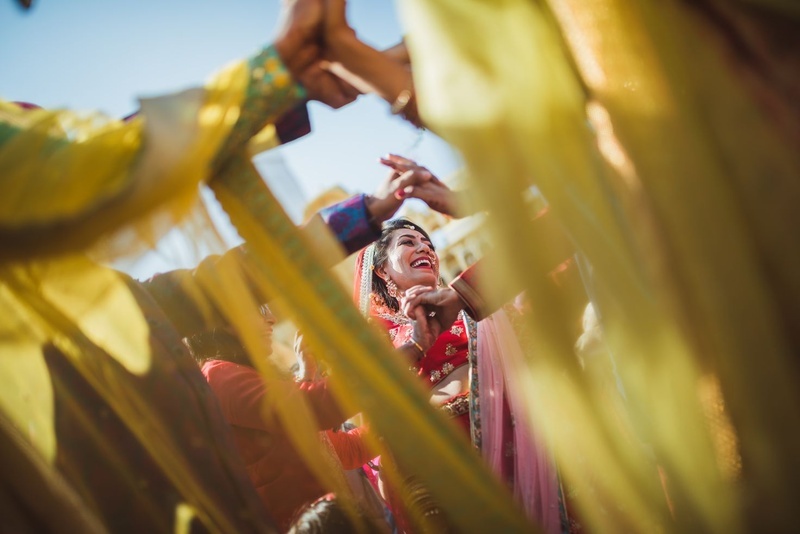 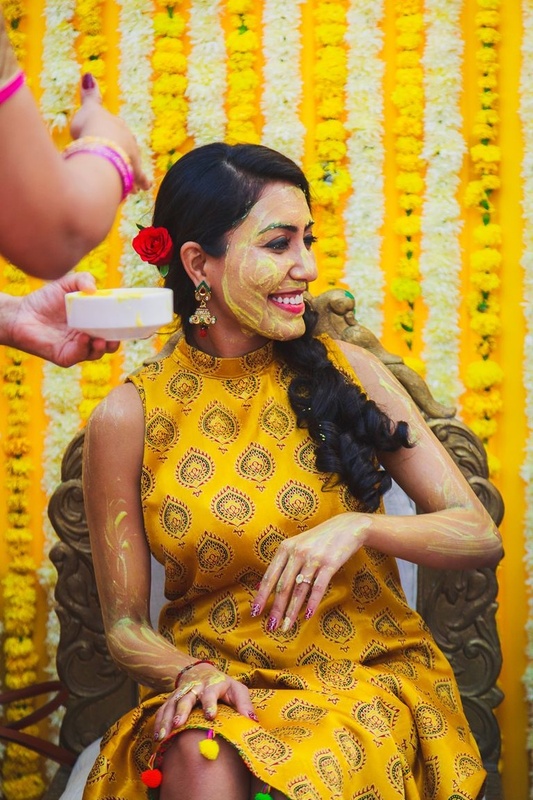 A fun-filled Haldi ceremony followed where Khushali wore a simple yet pretty yellow dress to match the theme of the event. 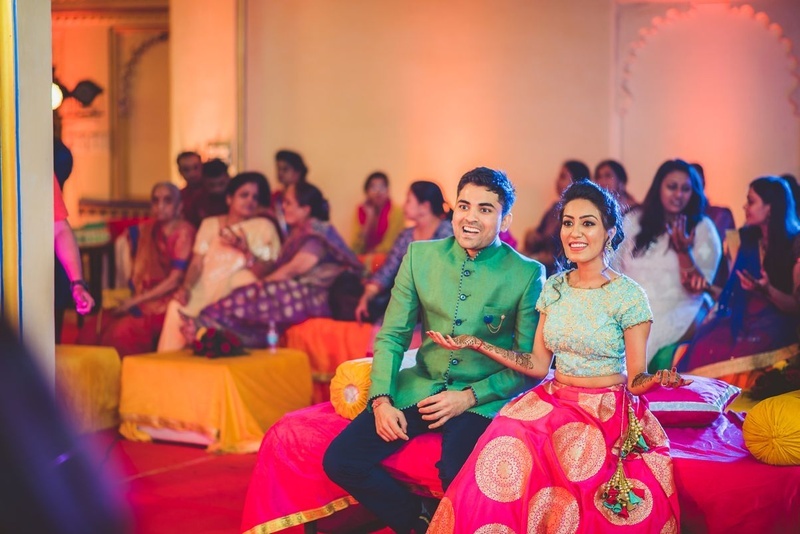 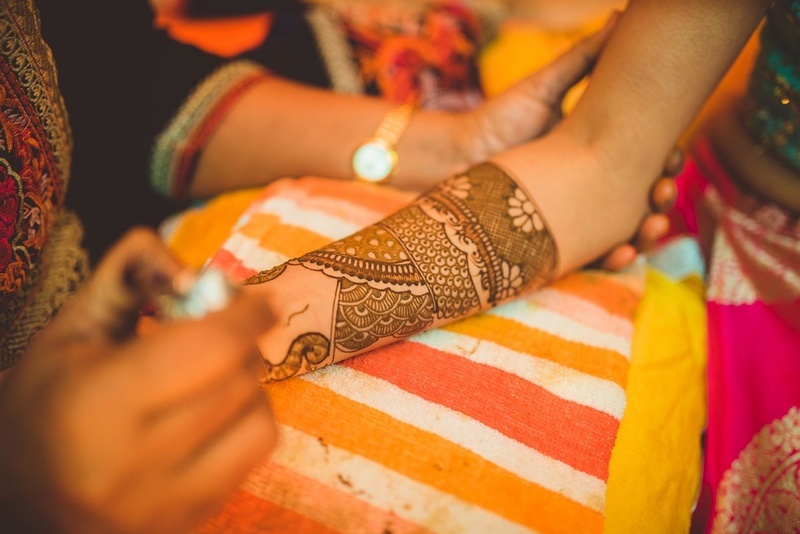 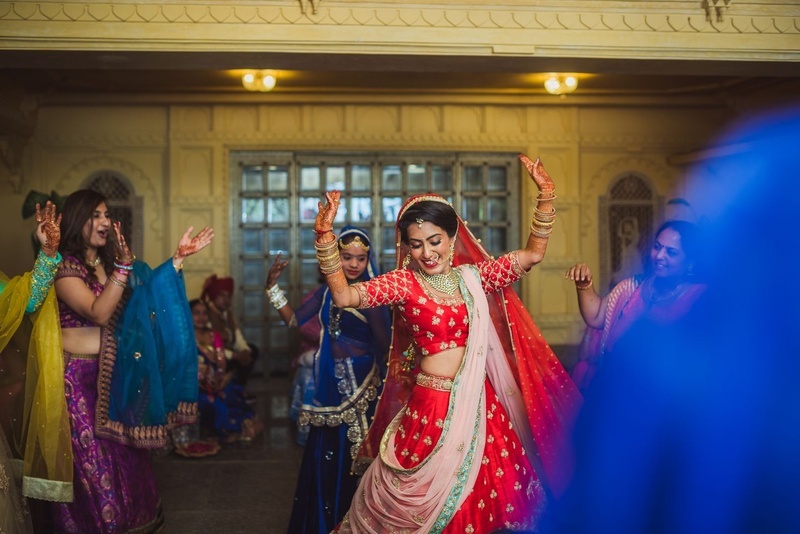 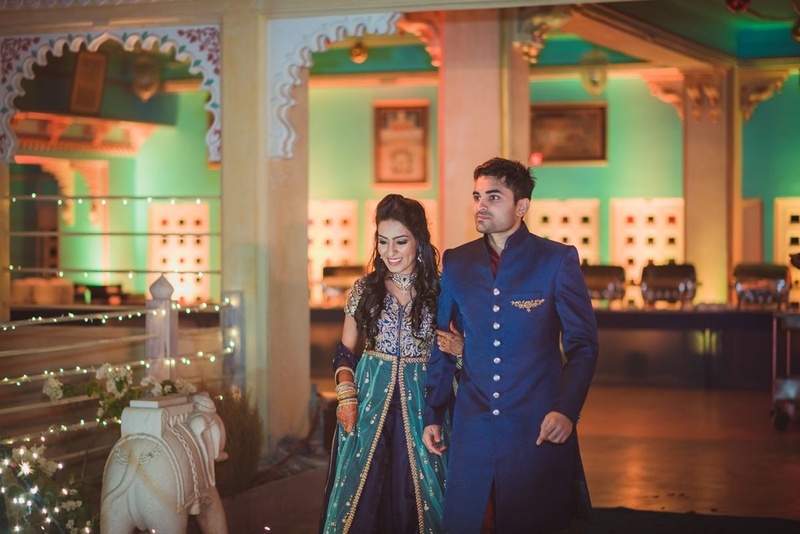 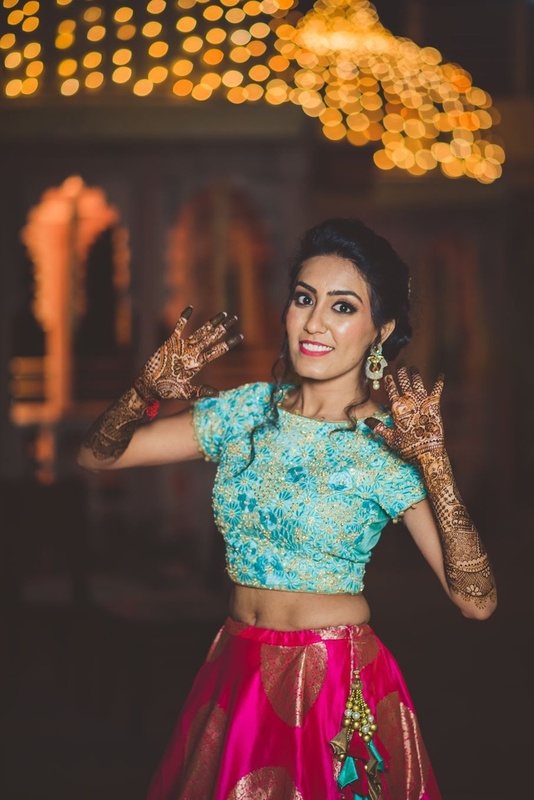 For her mehndi, she wore a lovely blue and fuschia contemporary lehenga which we absolutely loved. 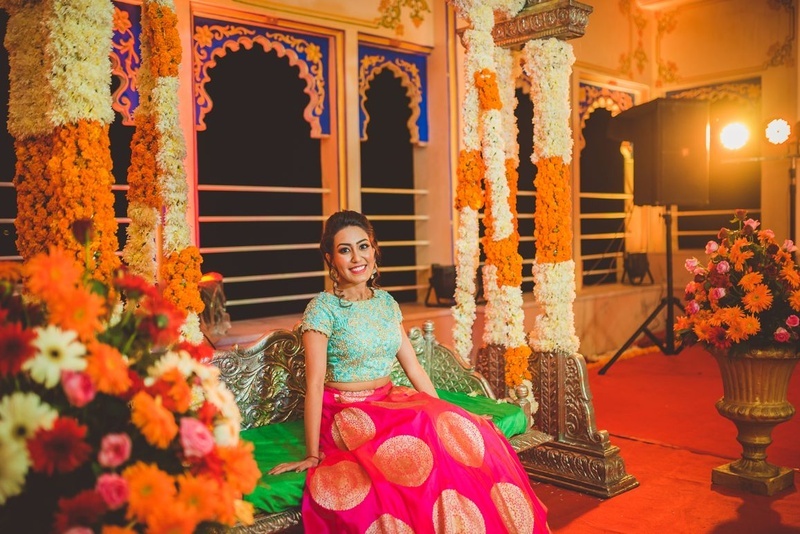 The decor was filled with warm tones of yellows and oranges. 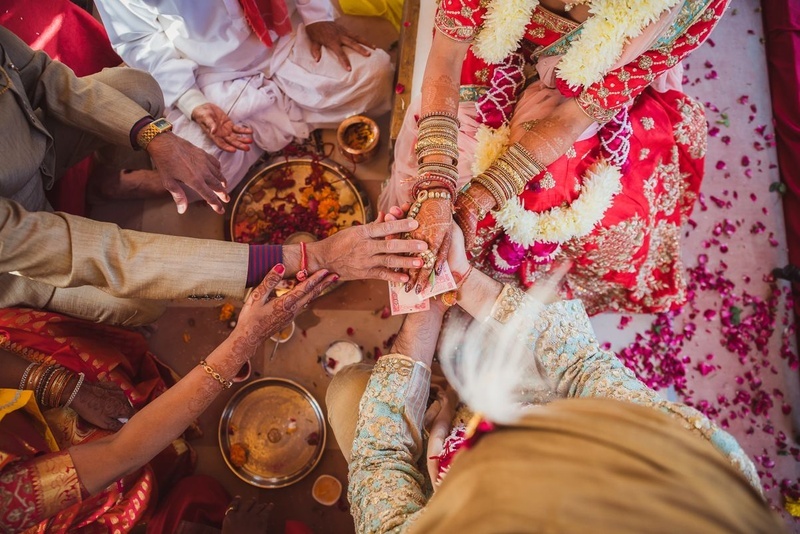 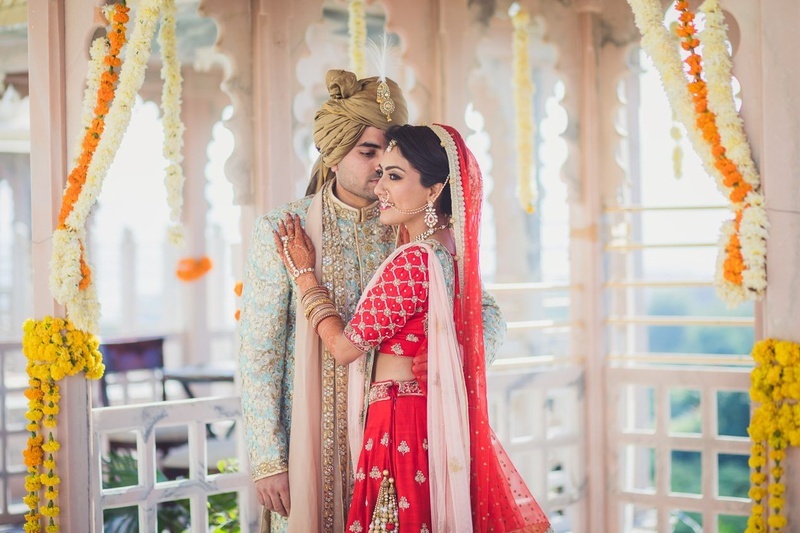 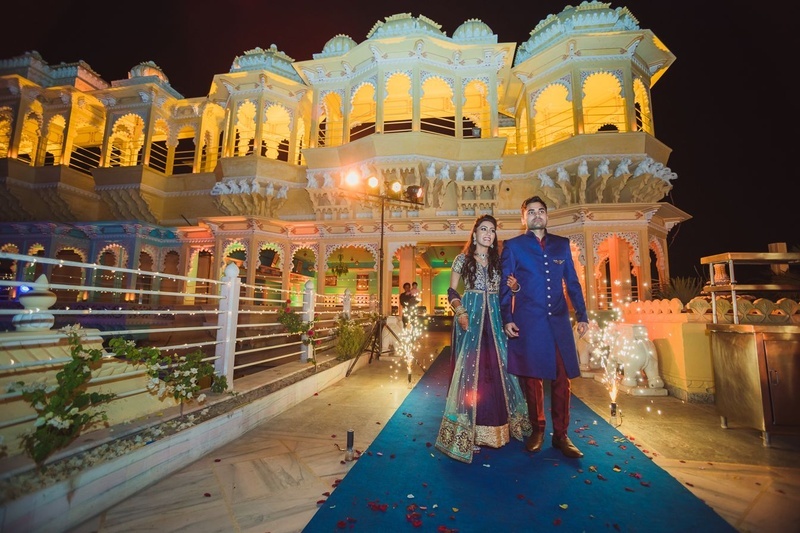 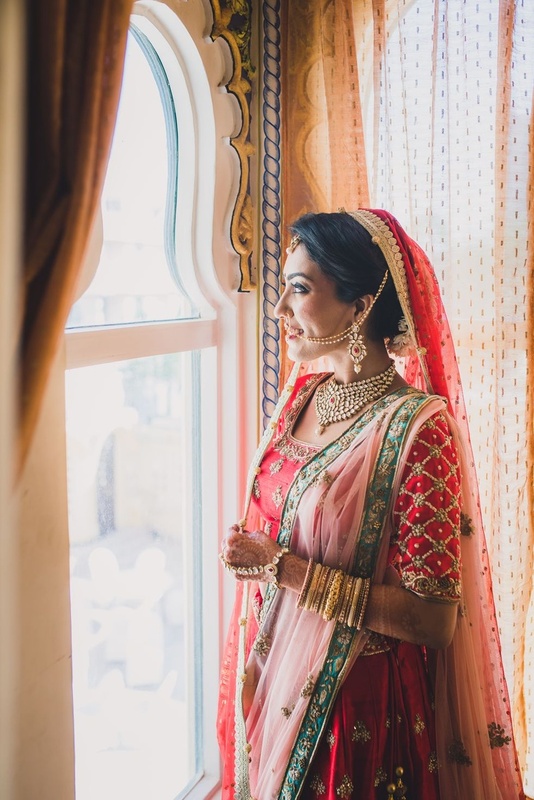 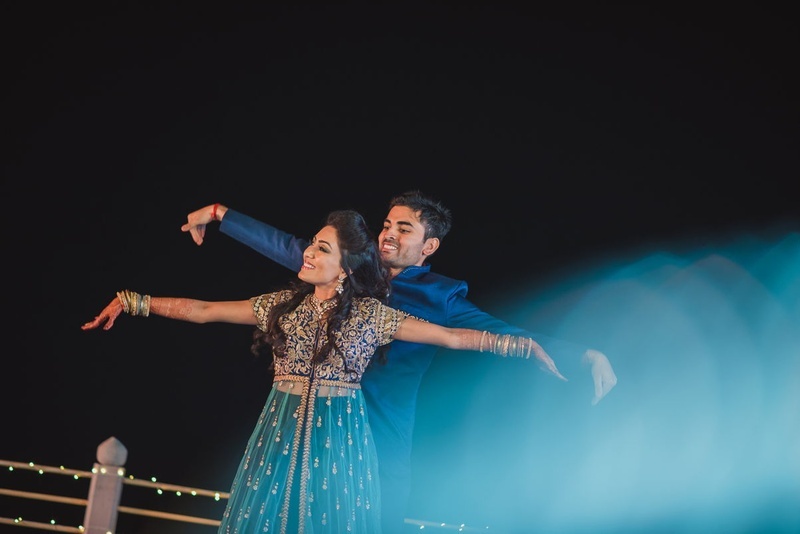 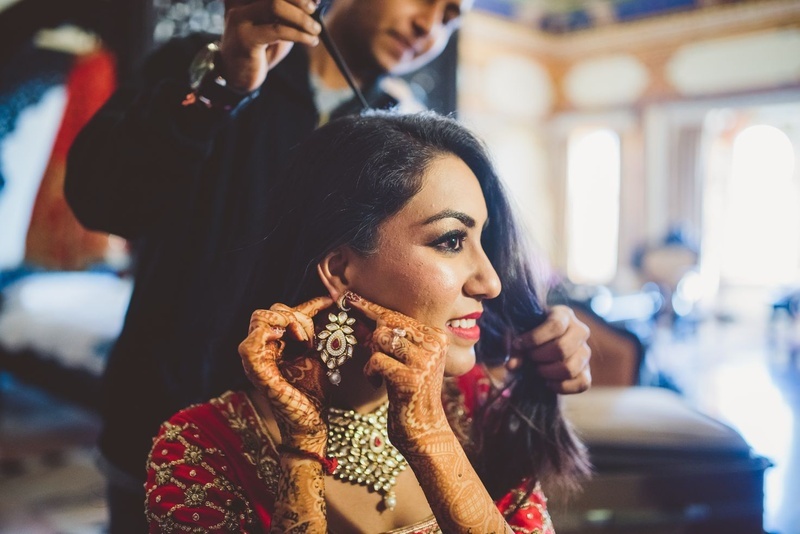 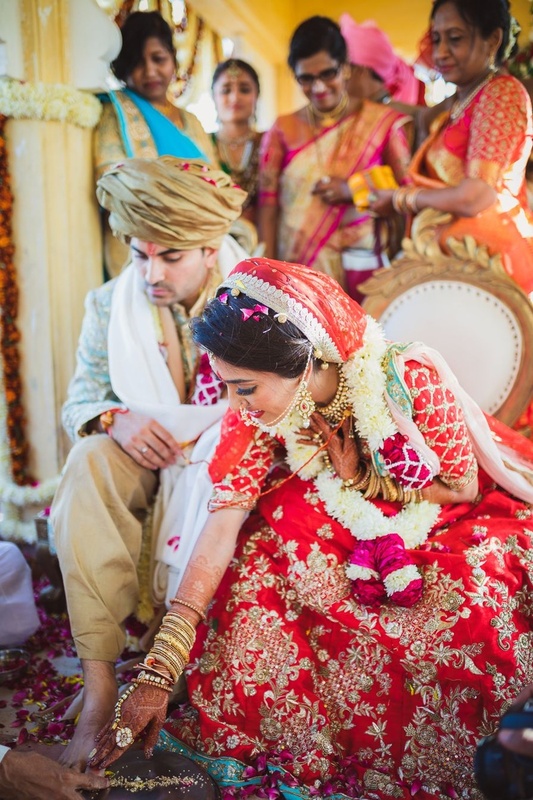 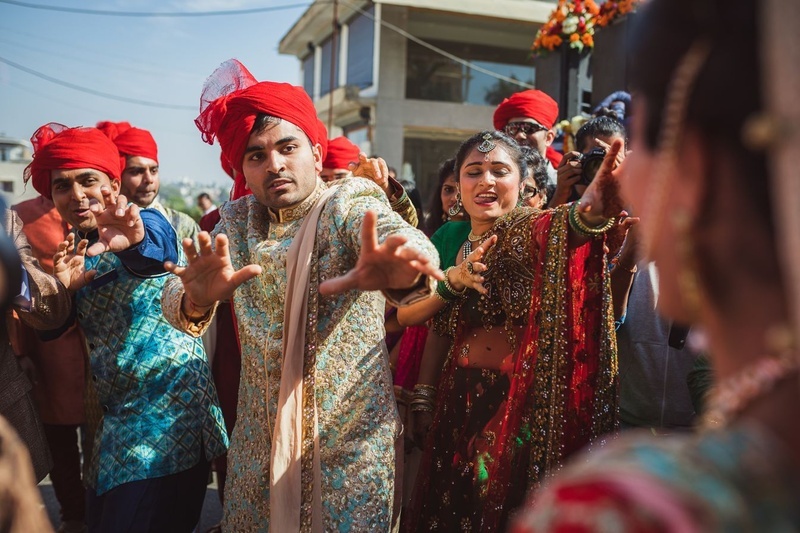 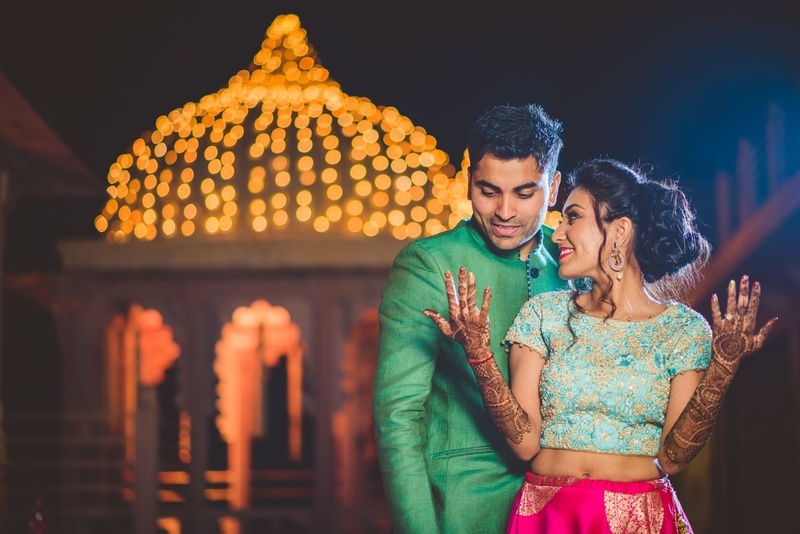 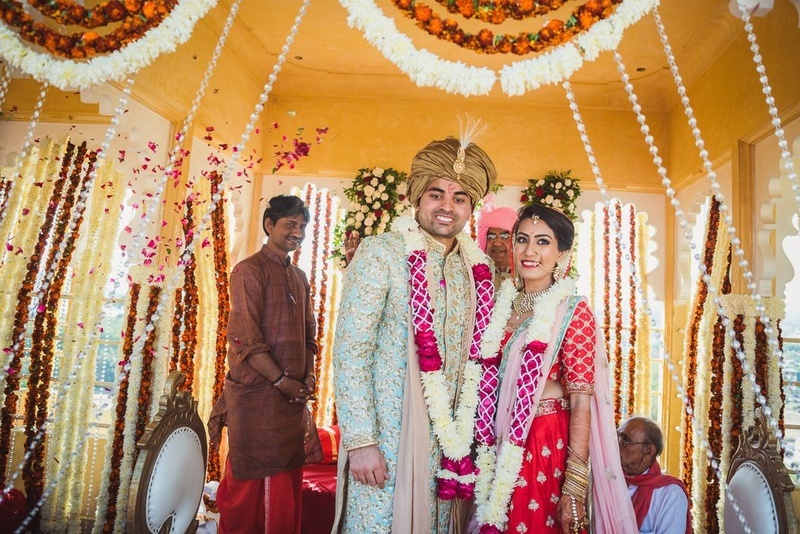 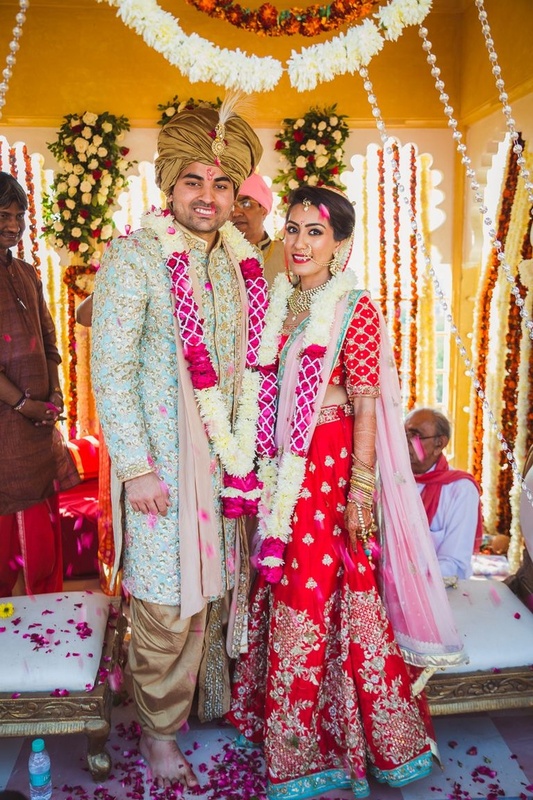 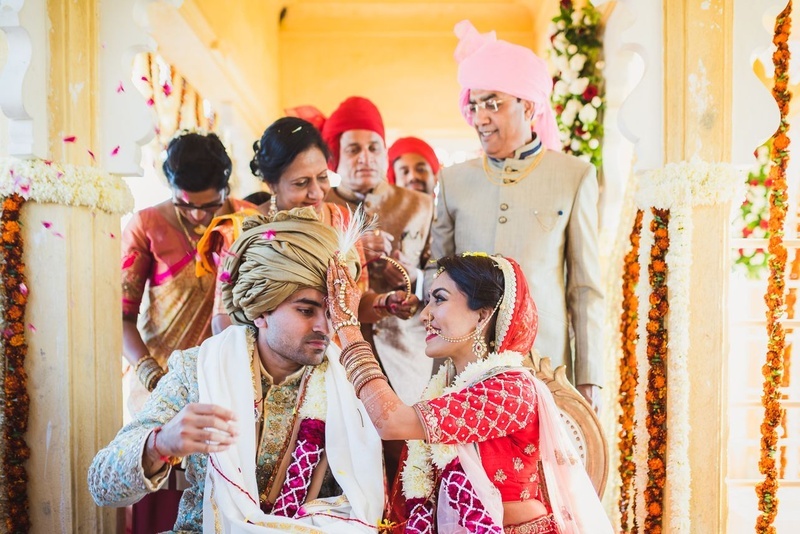 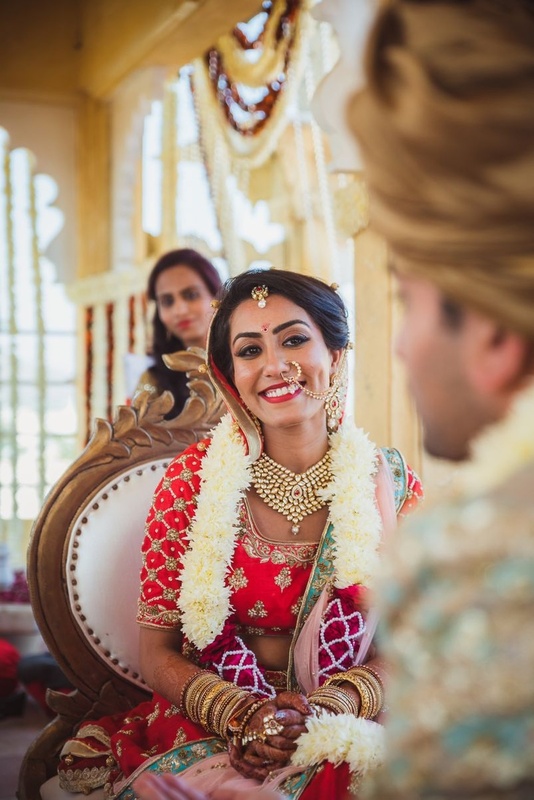 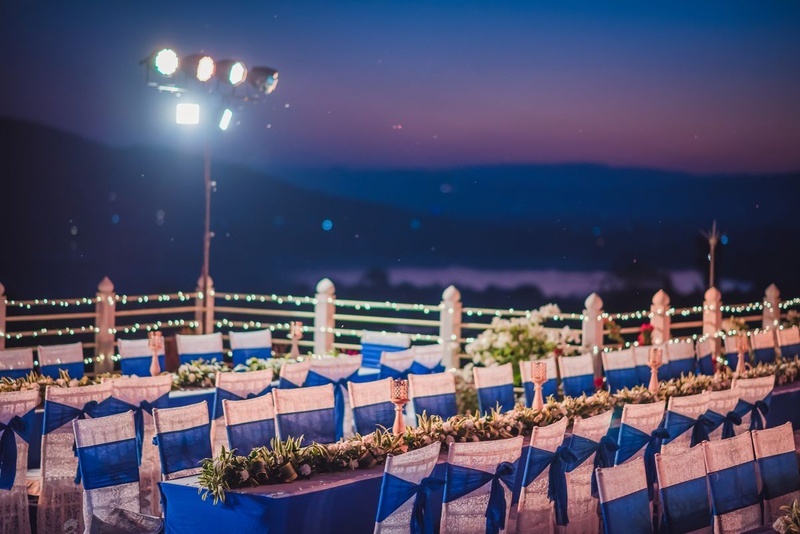 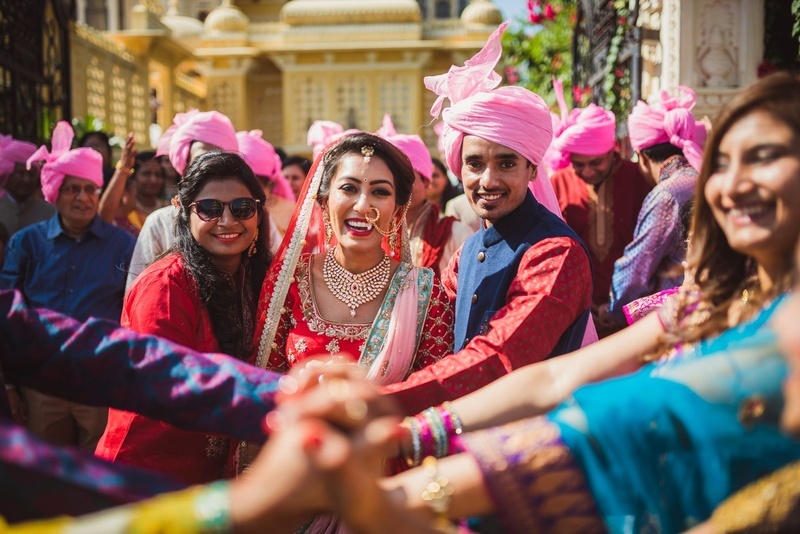 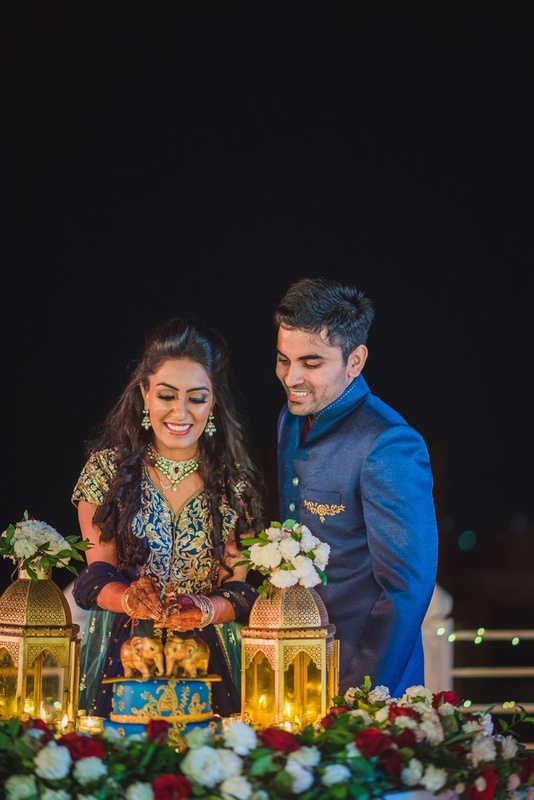 The couple stole the show on the wedding day with Khushali wearing a gorgeous red lehenga while Sankalp looked dapper in a sky blue sherwani. 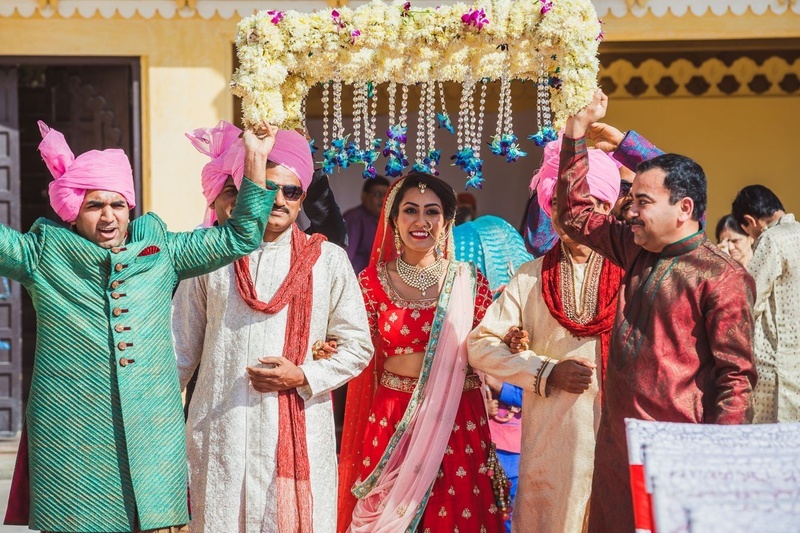 The wedding was filled with joy, cheer, love and bittersweer moments. 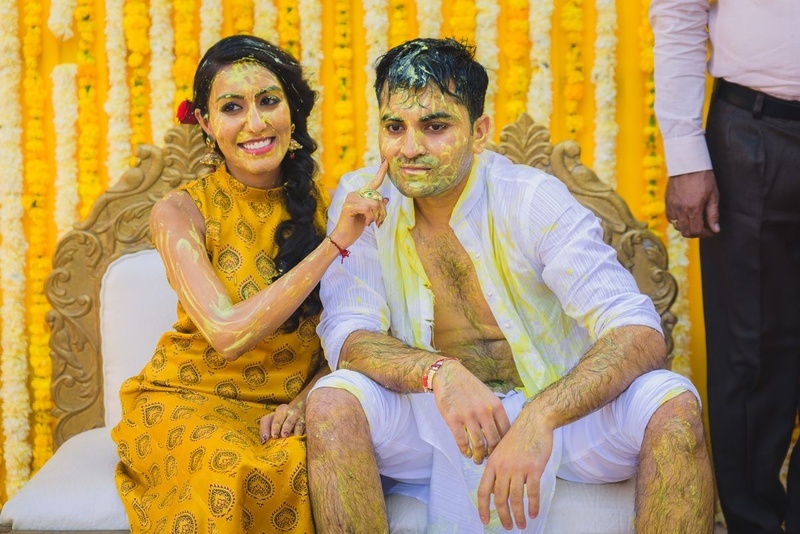 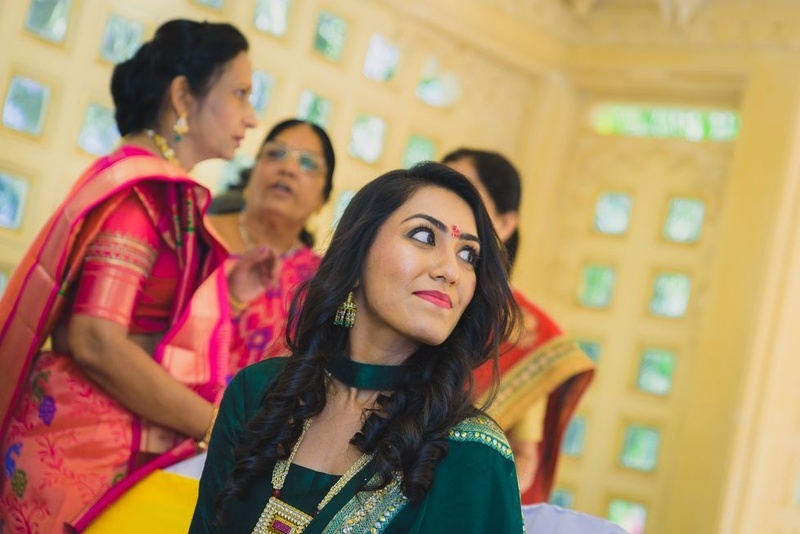 Khushali drssed up in a floral printed one piece for her pre wedding shoot held at Udaipur. 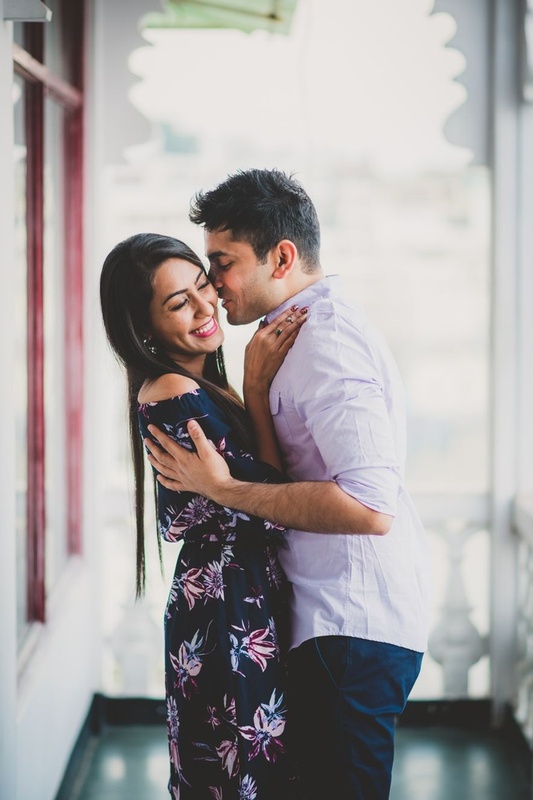 Sunset silhouette pre-wedding shoot by Varun's click photography. 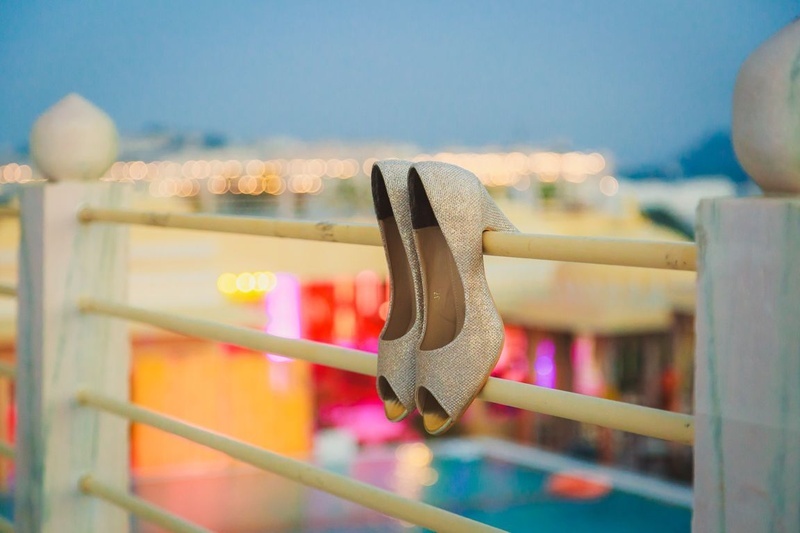 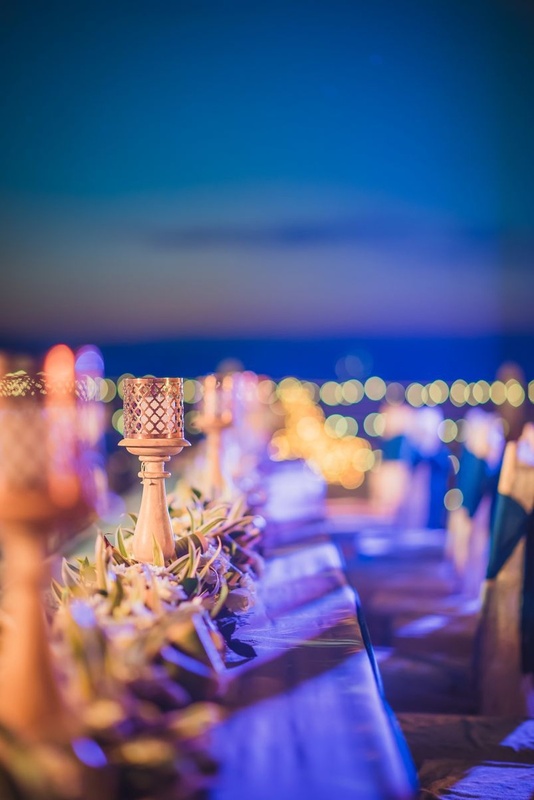 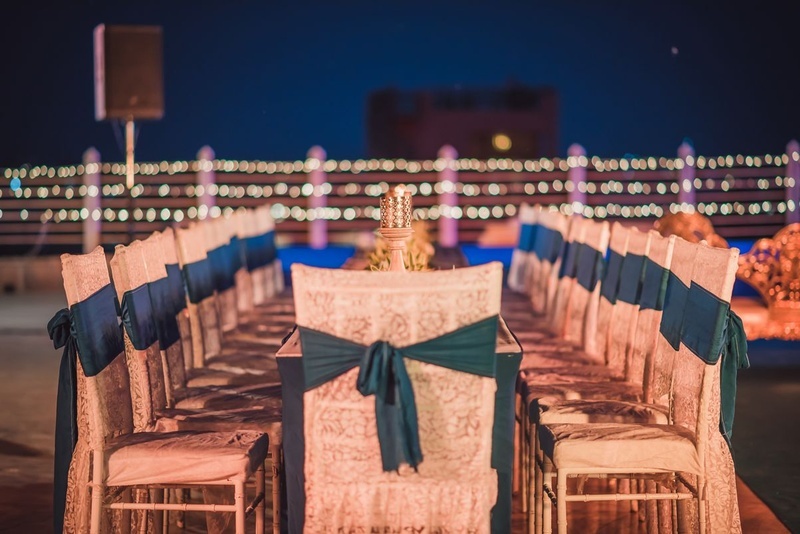 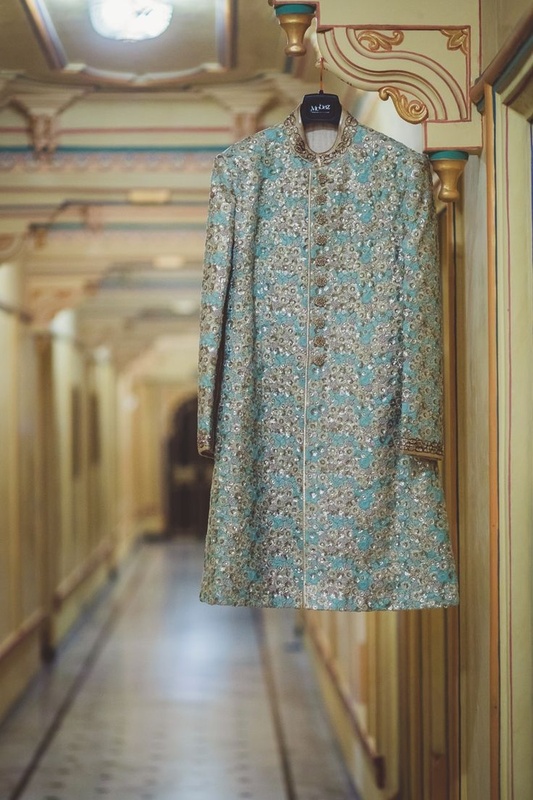 Palace pre-wedding shoot by Varun's click photography. 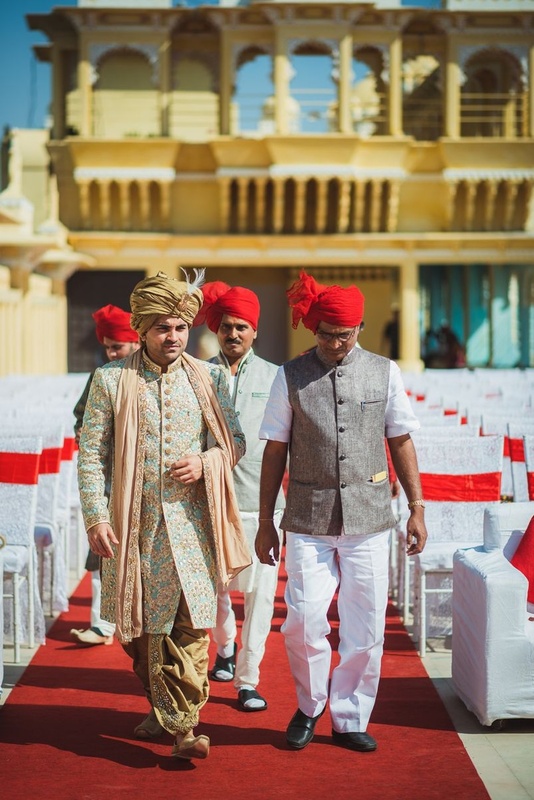 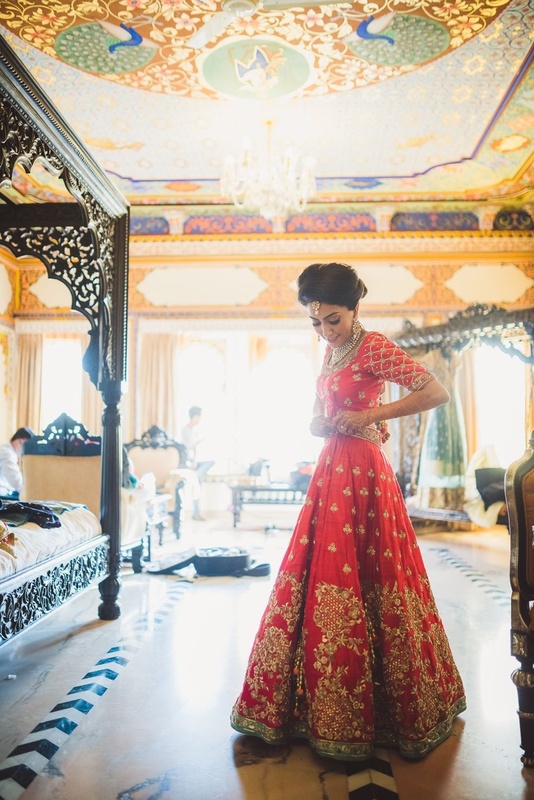 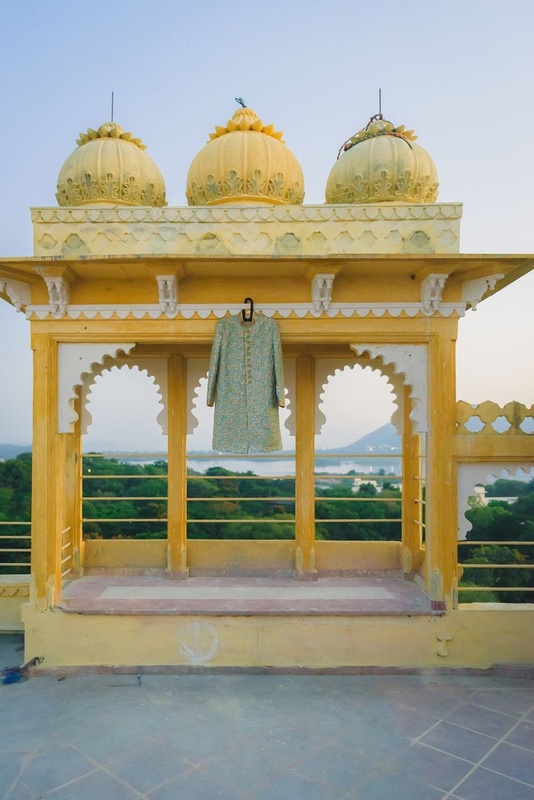 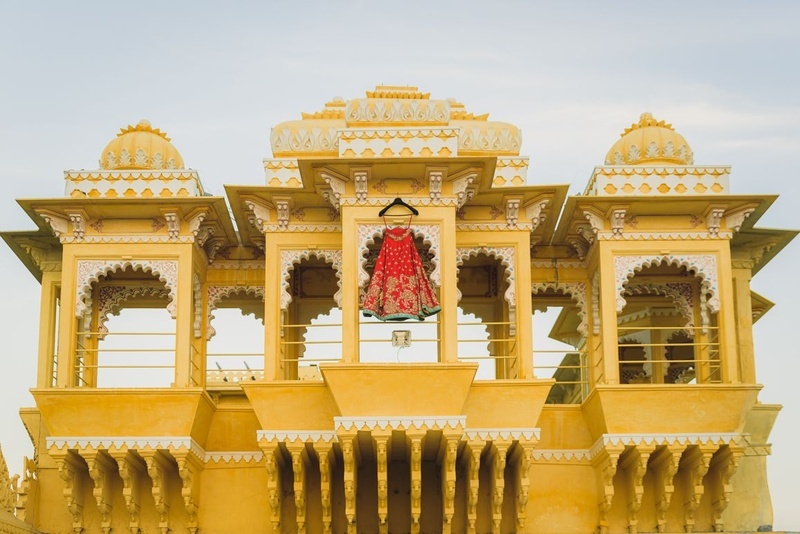 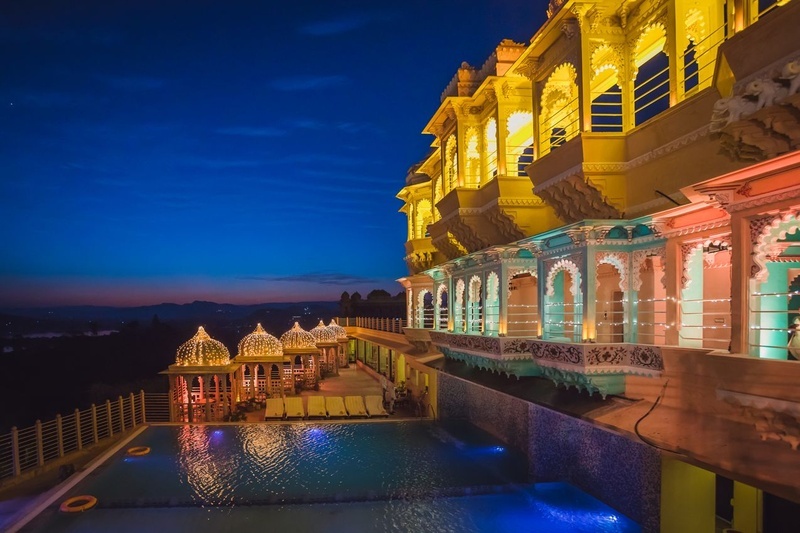 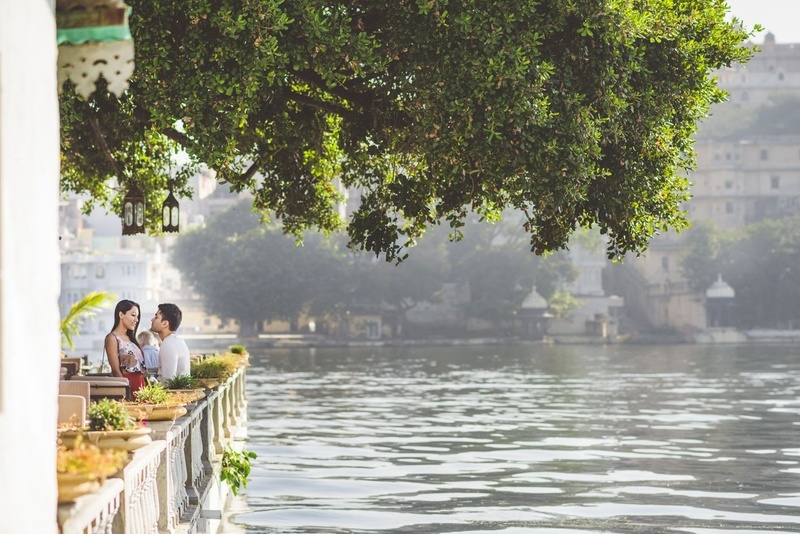 Wearing color coordinated outfits for their pre-wedding shoot held at Chunda palace, Udaipur. 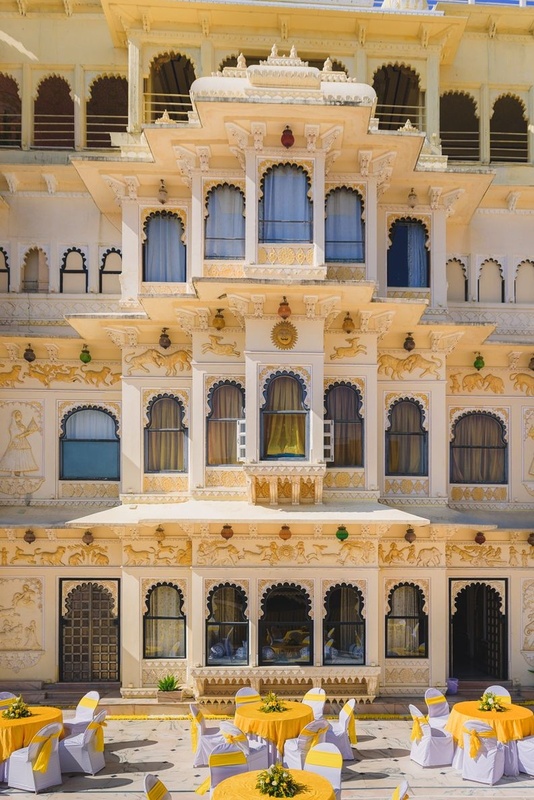 Decoration for haldi and pooja at Chunda palace, Udaipur. 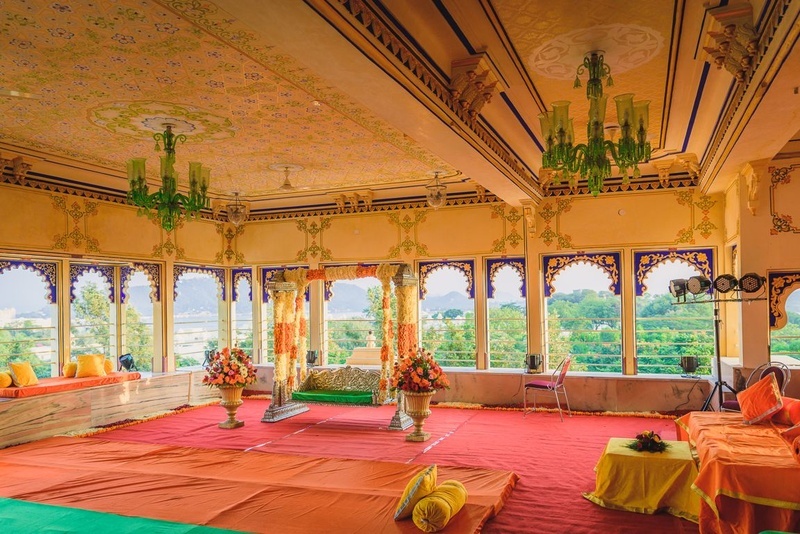 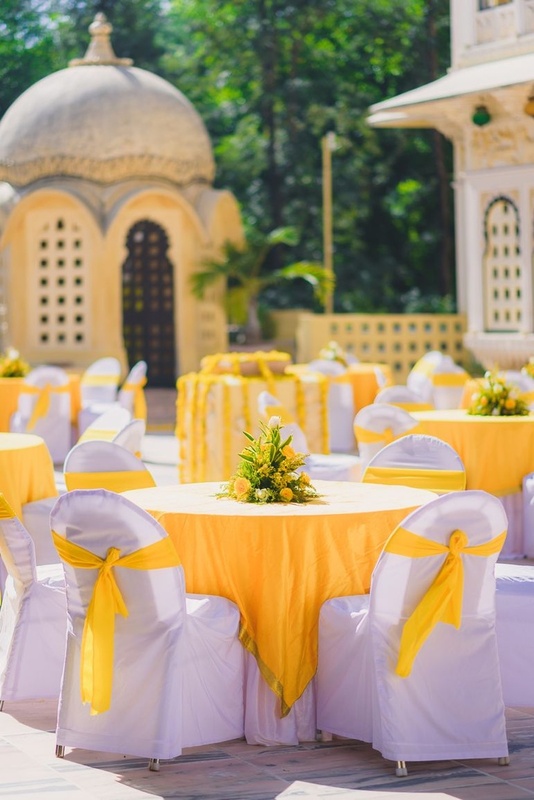 Yellow decor for pooja and haldi ceremony at Chunda palace, Udaipur.